The growing demand for website translation has resulted in a surge of companies offering this service. The overall growth of the translation industry in the past few years has been phenomenal, thanks to the sea change in the browsing pattern of users. Since more than 73% of users prefer browsing the internet in their native language, businesses, in their bid to reach out to their prospective clients, are hiring translation services like never before. 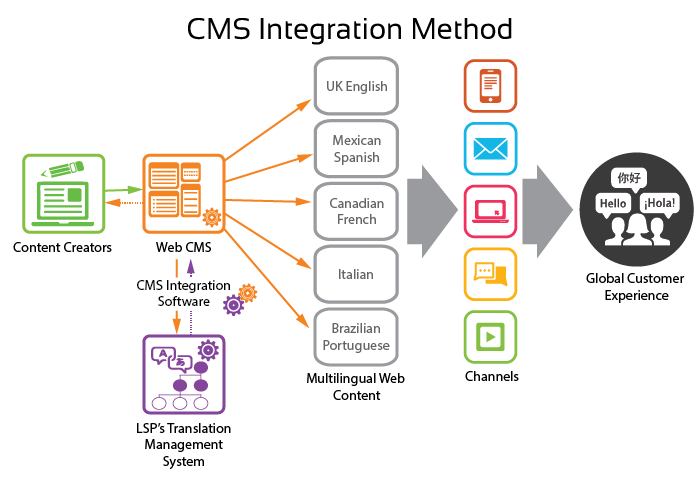 However, one of the major factors that you should always consider while opting for a translation platform is its compatibility with the CMS (Content Management System) upon which your website is built. This is significant because any integration incompatibility of the translation platform has the potential to affect the overall outcome of the website. Launched in 2003, WordPress today boasts of more than 60 million websites with a whopping market share of 59.7%. None of the CMSs is even distantly close to WordPress when it comes to the number of websites. Post WordPress, Joomla occupies the second slot with a market share of 6.7%. Though Shopify has a market share of less than 2%, it is one of the fastest-growing CMSs across the globe today and it’s a very popular choice for ecommerce websites. Launched in the same year as WordPress, SquarSpace today accounts for the existence of nearly 2 million websites. Though it fares low when it comes to the total number of websites or the overall market share, it has gained huge popularity and most users go gaga over its technical features. Despite the fact that there are too many companies today that offer website translation services, there are only a few translation softwares that do well and face no compatibility issues with the different CMSs. In many cases, a translation platform works fine only for a limited number of CMSs and behaves strangely in the case of others. 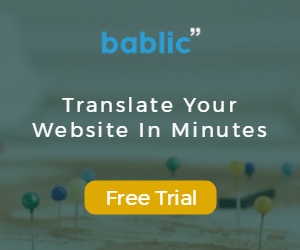 One can spare oneself the pain of constantly searching for a machine translation software that works well with one’s CMS by simply opting for Bablic. Bablic is one of the very few translation service providers that work absolutely fine, no matter which CMS you use. It is especially designed to meet the translation needs of the 21st century and its integration is amazingly quick and surprisingly smooth. All you need to do is to paste a one-line code and your website will automatically be translated into the language of your choice. Click here to find out in detail how Bablic can be integrated with the most popular of CMSs.